AA festival involving snakes, a reed dance with thousands of Zulu dancers or a large religious gathering of the Shembe are all cultural outings available to you when exploring Eshowe in Zululand at certain times of the year. The cultural calendar in Zululand has particular ceremonies of interest and you can attend one of these events as part of a guided tour. IIn Zulu mythology, if a young woman who is not a virgin takes part in the reed-dance ceremony, her reed will break. IIf you visit the town of Eshowe in February, you can witness a festival known as the “first fruits ceremony”, which was done by early Zulu kings. This particular event is held by a local sangoma (traditional healer) who goes by the name of Khekhekhe and involves poisonous snakes. KKhekhekhe (whose birth name is Zizwezonke Mthuthwa) lives in a homestead close to the Tugela River and invites fellow sangomas to attend this event, which takes place on 23 February every year. During the ceremony he handles the snakes, even putting their heads in his mouth, and tells the story of how Chief Dingiswayo (Shaka Zulu's mentor) gained power over snakes as a young man. Khekhekhe, who has 14 wives, is the driving force behind a tourism initiative to get foreigners to experience rural Zululand and African spirituality. He also has a local transport and bus business. 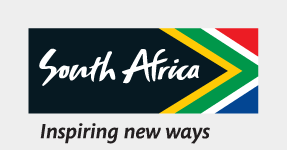 IIf you visit Zululand in September can also sign up to attend another Zulu festival of note. This is the Zulu Reed Dance that takes place in September at the royal palace of King Goodwill Zwelithini, where thousands of young Zulu women gather to celebrate the custom of retaining their virginity before marriage. If you are visiting Eshowe between 15 and 31 October, you can attend a gathering of the Shembe, a religious group that gathers in the thousands at a town called Judea during this time of year. On Saturdays, they hold traditional prayer dances and on Sundays they observe a day of prayer with an emphasis on traditional dress, dance, singing and the blowing of the Horns of Jericho. If you visit Zululand outside of these particular times, you can organise to visit a Zulu homestead, attend a wedding, meet a sangoma or go to a coming-of-age ceremony with Zululand Eco-Adventures, which specialises in real Zulu cultural experiences.